1. Customer Acquisition – Looking for New Customer SEO – Booster – According to the latest Small Business Survey, growing sales is the number challenge for all small business. With eZ-Xpo – SEO Booster, Chamber of Commerce or Local Business Organization can help boost organic traffic and more leads to every local business. Instant Hot Lead Alert – Over 82% of new customers come from word-of-mouth. With eZ-Xpo –Instant Hot Lead alert, we can help do match-making automatically for all members in any business organization. Marketing Insights – Everyone can easily and quickly download all hot leads via a spreadsheet. 2. Customer Sales Conversion Virtual Spokesperson – Pulling social media and google traffic are not equaled to target qualified leads. With Virtual Spokesperson, we can engage with every attendee 24/7, can convert every new lead to new customer, and automatically trigger follow-up email campaign. CRM/Email Campaign Integration – every exhibitor booth can automatically feed hot lead to the exhibitor’s email campaign and CRM seamlessly for automatic follow-up. 3. Customer Cross-sell/Upsell & Retention eZ-Xpo – Private Collaborative Network – Gone with the days customers just buy anything off the site without doing any due diligence especially with more complex products/services. 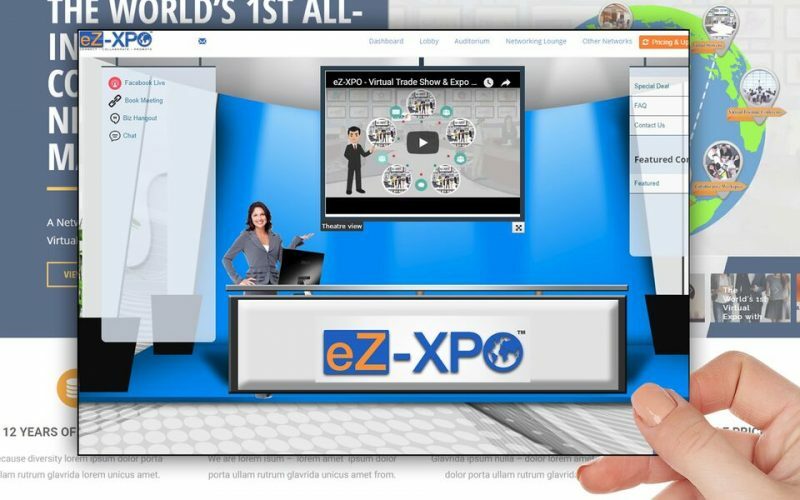 eZ-Xpo – Private Collaborative Network can help nurture every customer or prospect with Virtual Expo, Virtual Summit, and Virtual Training with ongoing education track every month.